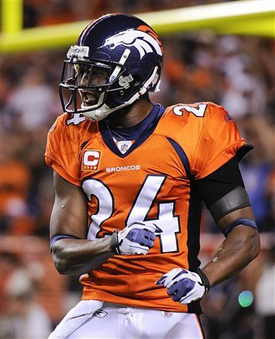 Michael Carl "Mike" Adams (born March 24, 1981 in Paterson, New Jersey) is now an American football safety for the Denver Broncos of the National Football League. 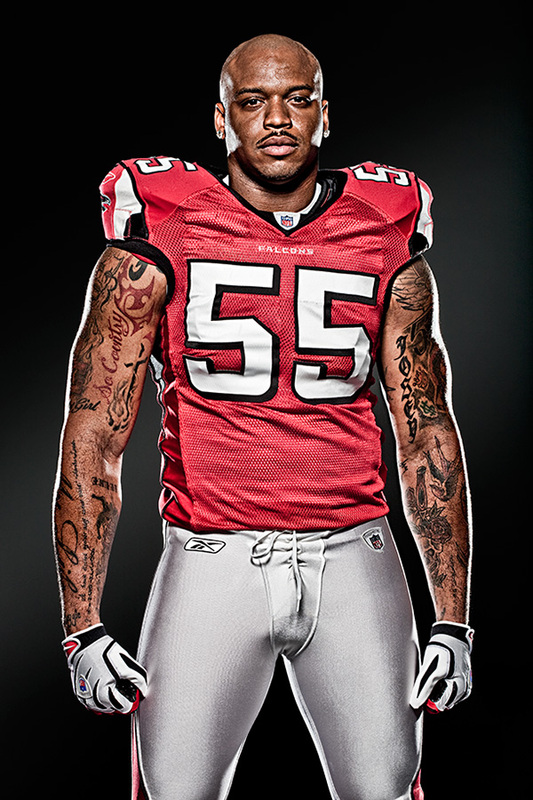 He was signed by the San Francisco 49ers as an undrafted free agent in 2004. He played college football at Delaware. 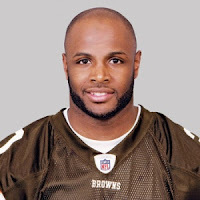 Adams has also played for the Cleveland Browns. Adams visited the Broncos' Dove Valley complex earlier in the day and decided he was done traveling. "It was a no-brainer not to take any more visits and stay," Adams said. 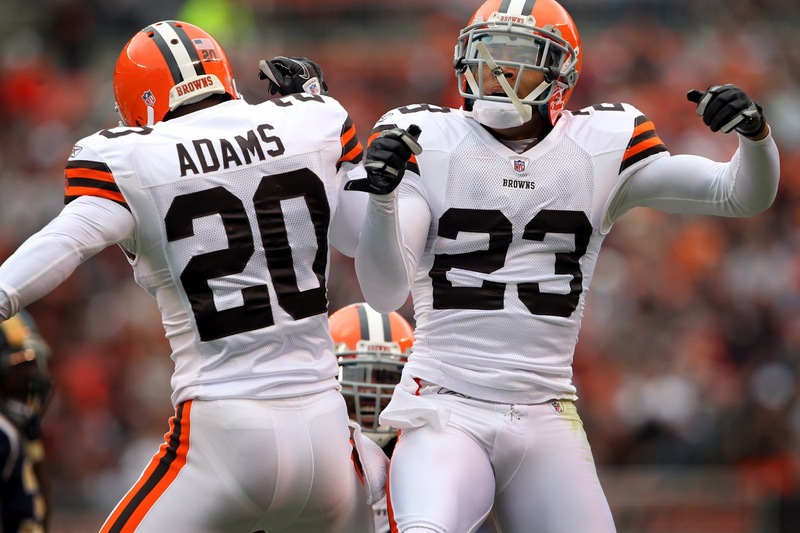 Adams, 31, played free safety for the Browns this past season, but the 5-foot-11, 200-pounder also lined up at cornerback at times and played extensively in the Browns' nickel (five defensive backs) and dime (six defensive backs) packages in his five-year tenure with the team. 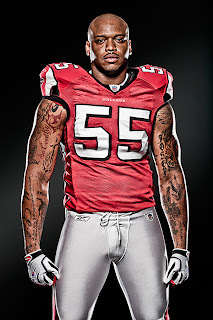 He finished the year with 64 tackles, three interceptions and a forced fumble. By PFF's measure, Adams graded out at +1.5 overall (-4.4 run, -0.7 pass, +5.6 coverage, +1 penalty) with 47 tackles, 10 assists, six missed tackles, and nine stops. Adams played three seasons with the 49ers before going to Cleveland. My opinion is this is a solid value pick up. He is that veteran presence we needed in the secondary. What does this mean for Dawkins I do not know but Adams plays the Free Safety spot so Dawkins could continue to play Strong Safety. The issue for me becomes that I don't want these two older guys playing every snap this year. 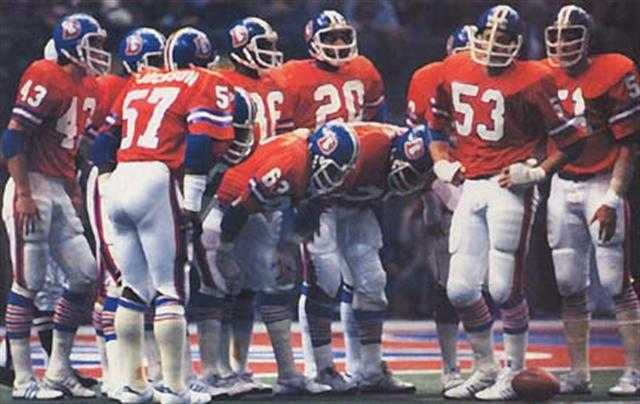 We need to be grooming Carter and Rahim by getting them involved. If Dawkins doesn't come back Carter will/should be the starter. Adams is more of a coverage specialist than a box player, and that fits nicely with what the Broncos need. Offenses have been gaining big advantages by flexing TEs, and Safeties who can cover are at a premium. Adams isn’t going to single-handedly shut down Rob Gronkowski, but he’ll hold his own in coverage most of the time. I thought it was interesting to note Adams's game logs, which you can see here. Looking at the numbers he has his better games against the better opponents, does that mean he gets picked on? Or does he rise to the occasion? Time will tell but he has been brought in to mentor the young guys. 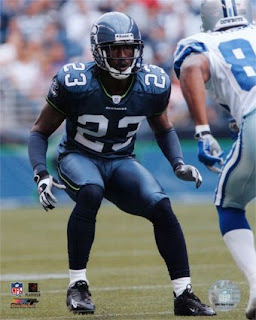 Former Seahawks Pro Bowl cornerback Marcus Trufant is scheduled to visit the Denver Broncos on Friday. Joe Mays visited the Saints, Colts next on his list. WR Eddie Royal agreed to terms with the Chargers. See ya Royal, good luck. 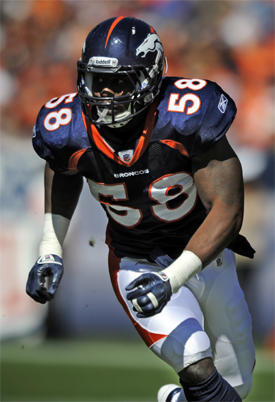 Free-agent LB Jameel McClain is visiting DenverFriday, according to a league source. McClain broke into the league with the Ravens in 2008 and played four seasons in Baltimore, notching 201 tackles and 4.5 sacks. He first saw regular time as a starter in 2010, starting 15 games. He started every game last season. Saints land replacement for Carl Nicks, sign Ben Grubbs to a five-year, $36 million deal, including $10 million signing bonus. Dallas signed ex-Jets S Brodney Pool. Dallas added LB Dan Connor. Chicago Bears signed KR/WR Eric Weems for 3 year, $4.2M. Browns re-signed DB Dimitri Patterson. New England Patriots and C Dan Connolly have agreed to terms. 49ers announced they have released CB Shawntae Spencer. 49ers hosting OG Geoff Schwartz. Easy upgrade at RG, best available should Mathis sign in Baltimore. Mike Holmgren claims Browns made offer for No. 2 pick every bit as good as Washington. Claims relationship between Rams and Redskins was the difference. He said, "I’m not sure anything we offered would have been good enough." Vic Lombardi is hearing that Brian Dawkins still wants to play but hasn't made a decision yet about 2012. No news from the Manning camp today, which could mean one of two things. That he is taking his time to make a decision, personally I think in a situation like this you already know what you are going to do so a decision isn't hard to make. Therefore it comes down to the contract. Looks like a bidding war has started for his services, the Titans should probably win that you would think but the Broncos may do something dumb. If we pay over 20 mil a season for him I will not be happy. 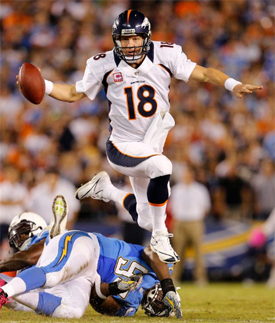 Also I get the feeling Manning is stalling, maybe the team he wants to sign with hasn't made a move yet? 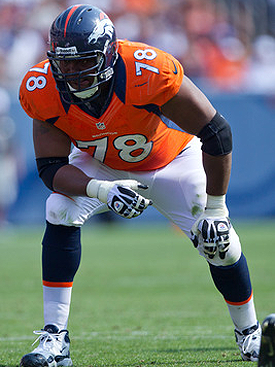 Looks like the Broncos are starting to get active and are selectively pursing solid free agents. If we get Abraham and McClain tomorrow I would be a happy camper ~ Aussie. If we can score, Trufant, Abraham and McClain I would be super pumped and happy. WOW oh wow oh wow... obviously I've been out of the loop for too long. Eddie Royal to San Diego?? Really?? C'mon man I mean I know why we let him go, he really can't compete with Bay-Bay & Decker for sure for starting WR jobs but would it have been so crazy to keep him for ST? I guess I was just surprised to see that. Didn't expect it and certainly didn't know he was a FA. Yeah I know it is tough losing good kids like Royal. Will be even worse if we lose Bunk. Also that would be cool if you can check in more, I know your jump is full on. Have fun in Colorado. You would almost be there for draft week. I will have a weekend update up soon.